About — Clover Event Co.
Clover Event Co. is a boutique event planning company based in the Manayunk section of Philadelphia specializing in planning, coordinating, and styling epic events for modern couples. 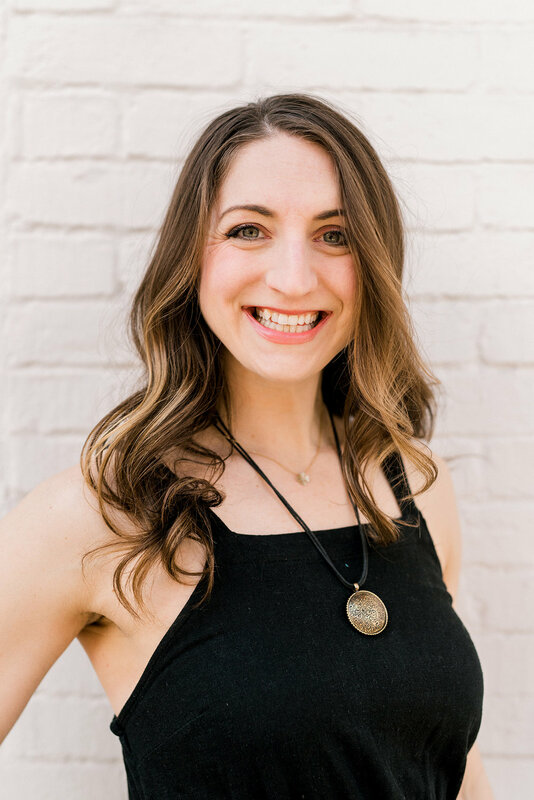 Started by Owner Caitlin Maloney Kuchemba, Clover has grown to include a talented team of event coordinators and planners who execute weddings throughout the Philadelphia area and beyond. Meet the Clover team below! I’m Caitlin Maloney Kuchemba, the fast-talking, tea drinking, always matching lady behind this company. I’ve always been an entertainer at heart and when I was younger, I knew I wanted to be a wedding planner before I knew it was a real career. After graduating with a communications degree from the University of Delaware in 2010, I became a certified Wedding & Event Planner through the Wedding Planning & Consulting program at Temple University. I have over eight years of experience in the wedding industry and have worked with over one hundred couples to make their wedding vision a reality. Originally from northeastern Pennsylvania, my husband Adam and I now call the Manayunk section of Philadelphia home. We love our neighborhood and the small business community that thrives here. When I’m not planning your wedding, Adam and I love to host our friends in our Manayunk rowhome, enjoy a glass of cider at our favorite local pub, hit the slopes on our skis and travel up to one of our favorite places, The Finger Lakes, where we got married in 2017. Jesse is a Boston native who now calls Philadelphia home. She and her husband Brian, got married in the Adirondacks in 2017 and highlights from their wedding included a guest appearance by two Saint Bernard puppies and a 15 minute polka dance! Being a part of making sure her couples' weddings go as planned and getting to see them deliriously happy is a privilege that never gets old to her. Kellie and her husband Joe were actually Clover Event Co.'s first clients. Kellie loves slurpees, so we helped surprise her with one on the dance floor during the reception. She also may or may not have taken a ride on a hotel luggage cart in her dress. Wedding days remind Kellie how special it is to find the person you were meant to be with, and yes, she'll be the one crying during your speeches and first dance. Originally from central New Jersey, Aisling now lives in Fairmont. When not working weddings with Clover, Aisling is the Events & Volunteer Services Manager for The Salvation Army and also sits on the board for Carve 4 Cancer. She loves seeing the roller coaster of emotions our clients go through on their wedding days and is always the one to make a quick joke to make us laugh. Pam will be getting married herself this August to her college sweetheart Andrew. The two met at the University of Delaware, where Pam and Caitlin also took classes together. Pam is now continuing her education by getting her Doctorate in Physical Therapy at Temple University. She's a former dance instructor so you might see her dancing at your wedding if a great song comes on - she just can't help it! Originally from upstate New York, Hannah and her husband Josh now live in the Fishtown neighborhood of Philadelphia. By day she works in communications and graphic design, so her eye for design comes in handy when we are styling our clients' weddings. Josh and Hannah got married in June of 2017 at Fiddle Lake Farm in Northeastern, PA where they shared their vows privately in a field before the ceremony. Breah is a childhood friend of Caitlin's who puts her skills as an instructional coach to use on wedding days. She's always willing to lend a helping hand with a smile on her face. She is marrying her high school sweetheart Bill this fall at a casual outdoor wedding at winery in Northeastern, PA. The Clover team will be onsite to make sure everything runs smoothly and style it to perfection. By day, Alicia runs the marketing for Philly coffee brand La Colombe and on the weekends helps Clover coordinate weddings. She and her husband Nick had a perfect coastal wedding on Peaks Island in Maine back in 2016. She loves being a part of wedding days and bringing energy to every couples day. Alicia and Caitlin were also college roommates so they go way back. Sarah is a San Diego girl living in Philly with her now husband Chris - they were married in May of 2018 and although Clover didn't go to California for the wedding, we designed her invitation, paper goods and signage so we could still be a small part of the wedding day. By day she works in commercial real estate, but her caring nature and sweet demeanor make her perfect for weddings. Helen is a Main Line native living in Philly who has worked with Clover for the past three seasons. Helen brings her calming nature to wedding days along with her sharp wit. She loves working with large families because she comes from one herself. When not working with Clover, Helen works as a nanny for a family in Philadelphia and also as a personal trainer - her strength comes in handy! Ainsley works behind the scenes at Clover handling our bookkeeping. She's a wiz with numbers and organization so she creates our client invoices and tracks all payments. By day she works for the career services center at Jefferson University helping businesses find recent graduate to fill open positions. Ainsley also happens to be Caitlin's older sister!